Lamb rack online that is guaranteed 100% British! We only buy direct from the farm. All our farmers have a similar philosophy and attitude as ourselves. Our farmers believe in traditional farming ideas and husbandry. It’s all about animal welfare, feed, conditions for the animals and the quality of the end product. 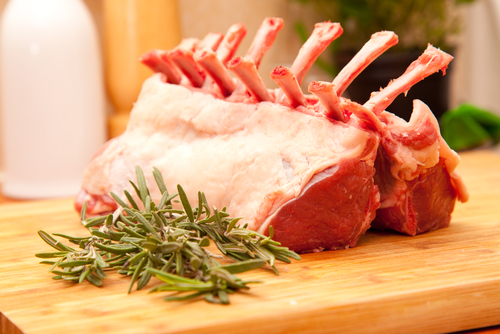 That is why you can be sure when you buy lamb rack on-line from our store you get a guaranteed quality product. TOP TIP: Cook with a cashew & herb crust and serve with a plain rice, sweetcorn mixed in with any excess sauce from the lamb and serve with asparagus.